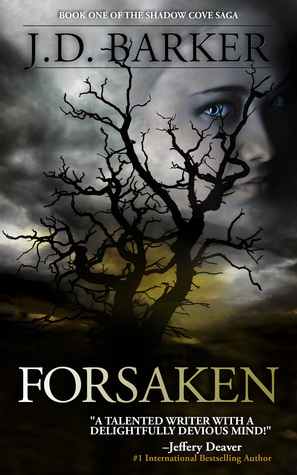 Forsaken is a book partially based on characters and events from the Salem witch trials. Some of these events find their way into the latest novel by best-selling novelist Thad McAlister. From the witch trials of centuries past, an evil awakens. She was examined today without torture at Shadow Cove township on the charge of witchcraft. She said she was wholly innocent of the crime and has never in life renounced God. I watched as they brought her out. A poor, sickly thing, worn by her time behind the walls of her prison. Her bared feet and hands bound in leather, her clothing tattered to that of ruin. Despite such condition, her head was held high, her eyes meeting those of her accusers. She still refuses to provide her name so we remain unable to search baptismal records, nor has her family stepped forward to claim her as their own. We have no reason to believe she is anything but an orphaned child. I find myself unable to look at her directly in the moments preceding her trial. She is watching me though; with eyes of the deepest blue, she is watching me. Throughout the story, the author allows you glimpses into the past via excerpts from Clayton Stone’s journal, showing you important events that happened in 1692. These journal entries give you just enough information to keep you guessing and add to the suspense when you are reading about the present. There were some good twists and a nice salute to Stephen King (one of my favorites) that made this even more fun to read. This was a great stay-up-all-night-reading type of spooky story, and I recommend this book to any fans of horror novels, witches, or things that go bump in the night. I will also be on the lookout for book #2 of the Shadow Cove Saga, to find out what happens to Ashley and Rachael! When is the book #2 releasing? I don’t know – the author has since released a couple of books in a different series. OHHH, I like the sound of this horror book. You did a nice job of reviewing with just enough detail to entice.